There is a common misconception that cats do not need bathing because they are able to maintain your body clean. Actually it is not so, because your furry favorite can get dirty so much that she will not be able to put himself in order. Bathing the animal, keep him in the ear in any case is not exposed to water. Keep in mind that trapped in the ear canal of a cat or cats water is not as harmless as it may seem. The inner ear of cats is arranged in such a way that, once there, the liquid can not go back on their own. If the water will stay for some time in the middle ear of the animal, it is able to provoke inflammation hearing – the so-called otitis media. It is very unpleasant and painful for the cat, and in the absence of timely treatment can lead to partial or complete deafness. Take action immediately if the ear belong you cat is exposed to water. If the amount of liquid is very small and she did not have time to penetrate deeply, it may be sufficient just to dry the ears of the animal and to remove the moisture using cotton swabs. If your cat is one of those rare representatives of their species who are not afraid of noise, then you can carefully dry her ears with a hair dryer. Carefully make sure that after this unpleasant incident the cat in any case is not overcooled, for example, not sitting near an open window, because in this case the risk of the animal has otitis media increases significantly. Don't ignore strange behavior of the animal after bathing or after it got soaked in the rain. If the cat rubs his ears with his paws, shaking its head, is restless, running around the apartment and meows plaintively, then the owner should have suspected that her ears were water. You can try to take action to help the animal and in the home – it drip into every ear drops for treatment of otitis media, which you can buy at the pharmacy. You can also use hydrogen peroxide. If the water still will not come out of the ears of your pet, do not let the matter take its course and bring her to the veterinary clinic. In any case does not penetrate a cotton swab deep into the ear of the animal so you can hurt him or even damage his eardrum. It is better to consult a doctor than to harm the animal. To prevent moisture from entering the ear, do not spray the animal in the water and do not bathe unless necessary. 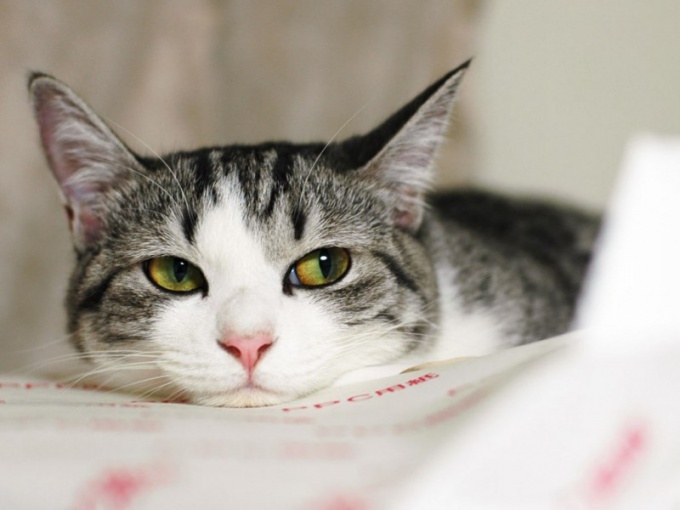 If the water treatments still can not be avoided, check that cat's head remained dry. Also, ensure it is not tripped it accidentally under a stream of water. Cats mostly don't like to swim, so your favorite might panic and start to break, soak the ears, so hold her tight and call her while swimming gently, but sternly. Probably each of us at least once in life ear fell into the water, which was learned from him is not so easy. That passed the sufferer to go a couple of days until the water completely evaporate. Meanwhile, trapped ear water – a direct path to otitis media and other ENT diseases. Most often this problem affects children, as their ear canal is short and broad, which allows for easy pouring of water. However, adults are confronted with such an unpleasant situation, especially in the summer when you enjoy swimming in open water. If the ear is exposed to water, Pat ear dry with a towel and then take a deep breath and then pinch the nostrils. Then try without opening the mouth, take a deep breath. The air in this case will be partially out through the ears, and push the water got there. Another way to create pressure in the ear. For this you need to smack your palm on the ear, slightly inclining his head in the direction of the affected ear, and then, with the power to tear. This creates a pump effect, which pushes the water out of the ear canal. You can just hop on one foot - the right, if water gets in right ear and Vice versa. Also try to lay on my side and a little lie down, maybe the water itself will flow out of the ear. If these measures don't help, tilt the head below the ear, where the water was at the top and drip a few drops of slightly warmed boric alcohol. If he was not at hand, it is quite suitable vodka or any alcohol-based lotion. In this position you need to hold your head 30-40 seconds. Water together with the alcohol evaporates much faster, so this method is quite effective. If the first time doesn't help, you can repeat the procedure. If you did not have alcohol, try to fill in the ear even of water, for example, using pipette, syringe or just her hands. Tilt your head to the ear was at the top and sit there for 1-2 minutes. Water will push the air tube, where most often this problem occurs, and will easily emerge. If the water doesn't come out for a long time, and you feel an unpleasant sensation in the ear, try to lie on a warm heating pad or a sack of heated salt. Perhaps the water is simply mixed with the sulfur, which increased in volume. Using the heat of the water to evaporate faster, and the problem will be solved. If in an ear there is pain, consult a doctor to avoid future negative consequences. What to do if ears are exposed to water: if water in a healthy ear you should try to gently remove the water with a cotton swab. If water in the affected ear can begin dizziness, severe pain occurs. In the water a lot of bacteria, so water from entering the ear may cause exacerbation of primary disease of the ear: itching of the ear start to stand out a sticky discharge. Sometimes water can be trapped in the ear for a sufficiently long time. That is why the answer to the question, if the ear is exposed to water, what to do in this case - everyone should know. Here is another very effective method: if the ear is exposed to water, take a deep breath, then a hand clamped over his nose, mouth closed and trying to breathe out. As a result of the internal pressure the water will gradually emerge. 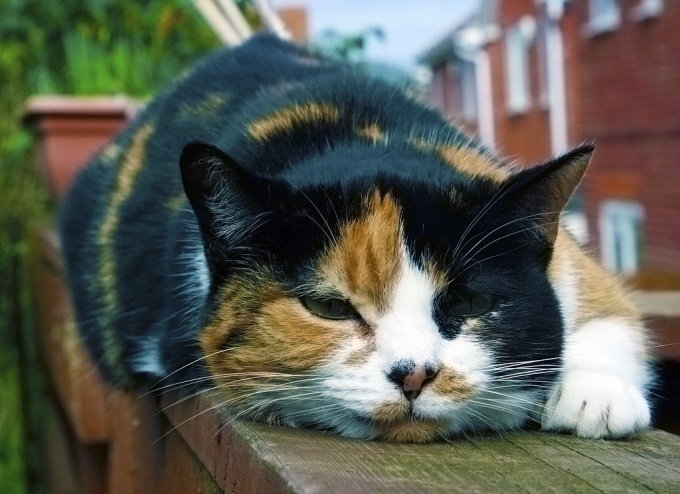 Diseases of the ear in cats are fairly common. Any inflammatory process can lead to deafness of the animal, which will reduce the quality of life. Therefore, begin immediate treatment as soon as you notice unnecessary separation of sulphur, and itchy (the cat begins to scratch his ear). Take the animal to the appointment with the vet. It would be better if the doctor will examine the ear and prescribe treatment. If you can't or don't want to go to a specialist, begin to self-treatment, but in this case you will have to use the integrated product. Sometimes the effectiveness of therapy is reduced to zero, as the required additional funds. Buy in a drugstore drops: Ear Mite, bars, Dicresyl, Eternal or any similar. They not only fight inflammation, but also to eliminate the ear line, if there is one. Don't forget to purchase hydrogen peroxide and ointment Kon'kova, Wilkinson or sulfur-tar, cotton pads or cotton. When everything is purchased, proceed to the direct treatment of the ears, but don't forget to read the instructions for all medications. Put the animal in ear hydrogen peroxide, and thus hold it securely, as it will begin to hiss, and the cat to escape. As a result, it can be scratched. After that gently clean the ear with a cotton pad. If there is accumulation of sulfur on the walls, soak a cotton wool and remove the deposits. 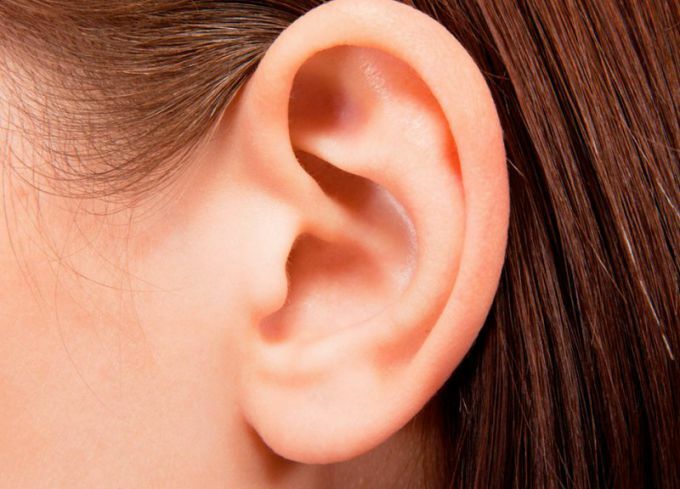 If hydrogen peroxide is not out of the ear completely, remove its remains with a cotton swab. Don't worry, you will not damage eardrum due to the G-shaped structure of the ear. Insert the drops into the ear and gently massage it. Wait a few hours and lubricate the external ear ointment. 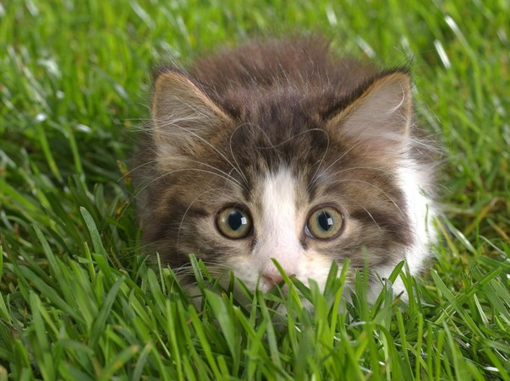 If your pet's ear mites, then treat not only inside but also outside of the ear. Treatment need several times a day. Accurate information read in the attached to drop the annotation. Some tools need to be instilled only once a day, others 4-5 times. If the cat does not cease to disturb the ears, take him still in the hospital. It is possible that the animal just ear plugs, and not inflammation or a tick. Only your care will help the cat to get health. Cute nwristie Pets – cats. They make their owners happy cheerful disposition, active behavior, good appetite and sound sleep. But there are times when pet owners notice a dramatic change in the behavior of Pets. The reason for this are often diseases of the ear. Look closely to ears of a cat. If the pet frequently shakes its head, scratches his ears, of which there is discharge of dark color, he is sick otodektoza, i.e., the ear mange. Immediately show the cat to the vet or consult with a specialist by phone to conduct a proper and step by step treatment until complete recovery of animal. 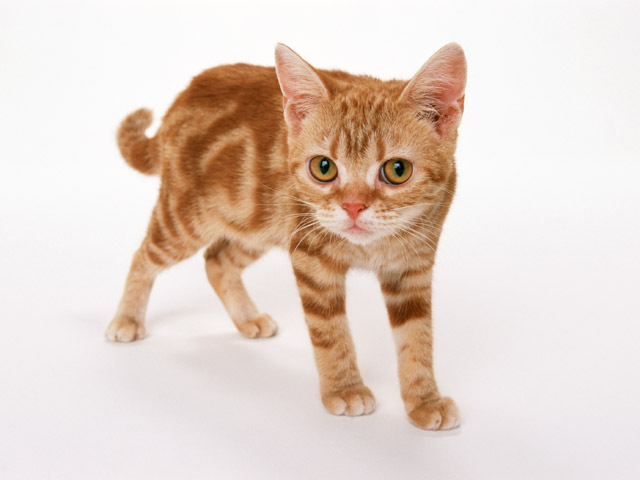 If you cannot get professional help or consult a vet, buy specially designed for the treatment of ear mite drops "Ciples", "bars" or "Atebion". Purchase cotton swabs and 3% solution of hydrogen peroxide. Before each use bought drops wipe with cotton swabs dipped in hydrogen peroxide, both of the auricle of the cat. Movement should be extremely careful not to damage the delicate eardrum of the animal. Carefully read the instructions for use of drops. Spend a full course of treatment, despite the fact that after the first days of backfilling the external symptoms may disappear. If cat swollen ear, and there was a visible bruise, then he is suffering from hematoma of the ears. This may be due to the strong blow, insect bite or prolonged squeezing of the ear. Press firmly over the ears of a cat to its neck, apply a thick bandage and take him to the vet for a checkup. Look at the cat. If he shakes his head, refuses to eat, becomes lethargic, he has been vomiting, his head tilted to one side, he rubs his ear, from which the liquid is brown in color with an unpleasant odor, most likely, the cat otitis. This inflammation of the middle and inner ear, which can occur in contact with cold water or a foreign object. Urgently take the cat to the veterinary clinic. The specialist will prescribe a course of treatment with antibiotics in the form of injections and drops, overlaying warming compresses, irradiation with ultraviolet light, the initiation of special preparations into the ear. Treatment of otitis at home without consulting a vet can have a detrimental effect on the health of the cat. The animal may be allergic or metabolic disorders associated with uncontrolled vitamins, the introduction of the new food in the diet in large quantities, contact pet with household chemicals. If the behavior of the pet changes, you must immediately show it to the vet. This will facilitate the flow of any animal disease and prevent possible complications. Cats have the ability to skillfully hide their illness, so it is necessary attentive to any changes in their behavior, and do not forget to carry out regular inspections of the animal in a veterinary clinic. Water in ear can get while swimming in open water (lake, river), and in the tub or pool. Most often, in addition to discomfort, this phenomenon brings nothing. However, long-term presence of water in the ear can cause pain, the source of the infection and damage eardrum. Not to bring the matter to the complications, one should try to remove water from the ear yourself.If the liquid got into his good ear, little reason for concern. For starters, you need to carefully RUB the hair and ears with a dry towel. Take a deep breath and hold your nose with your fingers. Then, without opening the mouth, exhale. This inside pressure will push the excess water out of your ears.The easiest way to get rid of fluid in ear is jumping on the leg, located on the side of the affected ear. The head should be held horizontally. So water will be easier to get out.Can a few minutes to lie down on the side of the patient ear. Under gravity the liquid can flow out.Drip into the ear passages 2-3 drops of vodka or alcohol. They quickly evaporate along with the liquid. In the same purposes it is possible to apply a weak solution of acetic acid or hydrogen peroxide. If no manipulations do not help in removing the water out of your ears, seek help from a specialist.In the afternoon you can feel some pain in the ear. Most likely, it's ear wax mixed with water. Sulfur tube increases in size and begins to put pressure on the nerve endings. In this case, to remove the sulfuric cork should not be alone. You can push it even deeper, or injure the eardrum. Visit the otolaryngologist. He will wash the ear canal with a special syringe.If you periodically suffer from otitis or had surgery on the ears, getting water in them should be avoided. Before bathing or washing the head, tightly close the ear canal with cotton wool soaked with a few drops of vegetable oil or baby cream. If the liquid were still in the ear, remove it using the above methods, and then insert the means of warning the occurrence of the inflammatory process (for example, boric alcohol). Pets require attention and in some cases help. Cats usually do an excellent job with hygiene procedures, wash, clean themselves. But in some cases this is not enough. Ears are pretty vulnerable on the cat. Ear problems always require drug treatment. - unpleasant smell from the ears or squishing sounds when pressed. A frequent cause of concern for pet is otodectosis in, or colloquially ear mange caused by ear ticks. To get rid of parasites, you must daily clean the ears of a cat gauze pad and instilled in both ears, even if it is scratched , only one drops from otodektoza. If the house contains several animals, treatment must be all at the same time, regardless of how many of them got sick. Mites are quite easily spread by contact of healthy and sick Pets. Is that the reason for concern is injury, which produces a hematoma. It looks like edema or swelling. The ear will hurt. The lack of treatment in the best case leads to deformation of the ear, and at worst may develop an abscess. To treat a hematoma immediately, and this should be done by a veterinarian. Abscess externally difficult to distinguish from hematoma, but this is a more serious problem, because the cause is infection. Here not to do without surgical intervention, so you should seek help to the veterinarian. If the external surface of the ear of a cat appeared pustular rash, weeping sores forming, the cause is probably a fungus. The first step is to wet ulcers with sterile gauze and covered with powder streptotsida. The fungus treatment will appoint the veterinarian. Otitis media causes serious concern. In a relatively easy manner is an inflammation of the outer ear. If the disease is run, may start the inflammation of the middle and inner ear, which often leads to deafness or even death of the pet. The treatment prescribed by a doctor, usually topically this ointment and drops, inside antibiotics. If the tests in the clinic showed no infections, fungi and mites, injuries and inflammations was not, but the cat ears visible redness and rashes that may be allergic. To help relieve symptoms able ointment from allergies. 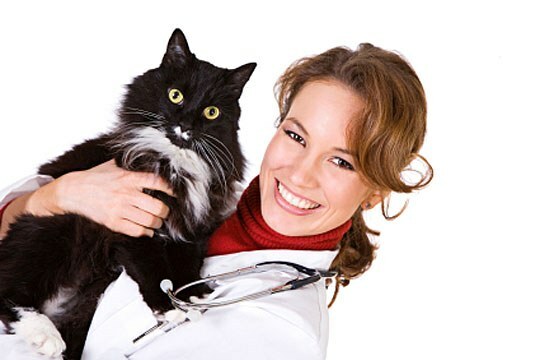 But for a more accurate diagnosis and treatment should consult the vet allergist. It is worth periodically cleaning the ears of dirt, even if the pet is healthy and is not worried. To clean the ears you can use drops that are always available in veterinary pharmacy, or use peroxide. A small amount of the drug is applied on a sterile gauze swab that ear cleaned of contaminants.